The latest buzz is that you can record the sound of mosquito wing flaps on your cellphone and identify the species. Mosquito bites as we know can be deadly, as mosquitoes are vectors of diseases such as dengue, zika and malaria. We all know that prevention is better than cure. And even better, is knowing your enemy in order to defeat him/her. 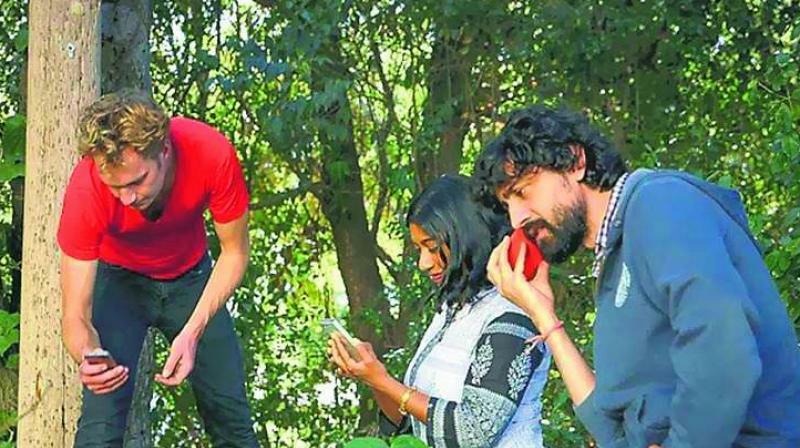 This is what an app developed by a group at Stanford University is hoping to do — with the help of the smartphone and citizen-scientists in mosquito endemic areas. The group of scientists from Stanford University — Felix Hol, Haripriya Mukundarajan and Manu Prakash — have invented the Abuzz system that identifies particular mosquito species from the wing flap frequency in mere seconds. In a YouTube video and the Stanford Medicine News Centre site, Prakash says that Abuzz can identify 20 species with 70 to 90 per cent accuracy. “It depends on data like the time and location sent from the smartphone,” Prakash says. You just need to keep in mind that while recording, the background noise has to be minimal. After the recording, all you need to do is upload it on the Abuzz website — and the researchers will take it from there. The thing is you don’t need the latest smartphone — the Abuzz guys have tried this experiment on cheap phones as well and it worked! Once every citizen scientist starts taking the initiative and sends the recording to Abuzz, the group can make a map that will tell us when and where the most harmful species of mosquitoes are to be found and that could curb this menace. If you are still sceptical about this experiment know that the Abuzz group went to a village in Madagascar and personally trained the citizen scientists, who were all high school students, for around 10 minutes. The next day they were gifted with 60 recordings that went on for three hours. For Abuzz to go that extra mile, it needs active participation from citizen scientists from all around the world to play a part in this attempt to eradicate the curse of mosquito-borne diseases. Whenever a recording is submitted to Abuzz, the researchers extract the raw signal, run an audio cleansing to decrease the background noise and then use an algorithm that complements that specific buzz with the breed that has possibly made it. “But this control strategy relies on knowing the species of mosquito that are spreading the diseases where they are found,” says Mukundarajan. After a match is detected, the researchers get back to the person who sent the recording and send them information about that particular mosquito and then pinpoint every similar recording on a map on the website, thus revealing when and where the mosquito breed was spotted. Abuzz made use of the fact that mosquito breeds can be distinguished from one another by the frequency of their wingbeats — the thing that brings out their distinctive cry. So, what are you waiting for? Take out your cellphone and start documenting!